Examiner: "When a gay teenager commits suicide, it's because he can't picture a life for himself that's filled with joy and family and pleasure and is worth sticking around for. So I felt it was really important that, as gay adults, we show them that our lives are good and happy and healthy and that there's a life worth sticking around for after high school." In his minute-and-a-half video, Lambert tells gay teens to have "pride in themselves" and that he "believes in [them]" and to not give bullies the power to affect them and their lifestyle. Lambert also confided that while he is a big pop star, he's still struggling with personal gay bashing, saying: "Even someone like me, someone that has recently come into some success in his career. I'm touring the world, I have a CD out, I do music videos, I'm living my dream. Even I get bullied. You look under any comment section on any article, and there's bullies in there telling me that I'm a f*ggot, that I'm ugly, that I'm gross -- 'Ew, gross, nasty, he's a girly' -- all this crap. I'm singled out and it's all 'gay, gay, gay, gay, gay,' even though there is so much more than just who I choose to sleep with" (Adam Lambert joins 'It Gets Better' project against gay bullying). 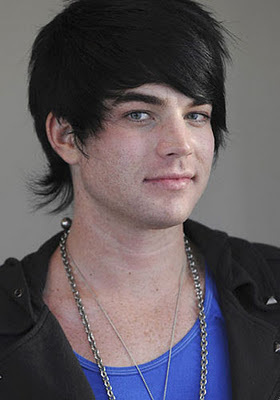 Adam Mitchel Lambert (born January 29, 1982) is an American singer, songwriter, and actor from San Diego, California. In May 2009, he finished as the runner-up on the eighth season of American Idol. The Times identified Lambert as one of the few openly gay mainstream pop artists to launch a career on a major label in the United States. Lambert released his debut album, For Your Entertainment, in November 2009, via RCA Records/19 Recordings. The album debuted at number three on the Billboard 200 in December 2009, selling 198,000 copies in the United States in the first week. In 2010, Lambert was nominated for the Grammy Award for Best Male Pop Vocal Performance for "Whataya Want from Me" (Wikipedia). Adam Lambert's 'Aftermath' Remix: Exclusive First Listen!